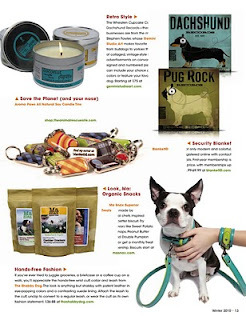 Thanks to the uber stylish and informative City Dog Magazine for featuring us in their winter 2010 issue as a top 10 Cool Product. We think we're in excellent company and we appreciate the mention. 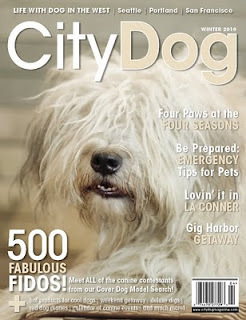 Believe it or not, we rely on great publications like City Dog to enlighten us to new and great must-have dog ephemera. We love Stephen Fowler's Gemini Studio renderings and have commissioned one in Penny's likeness...can't wait to see it. 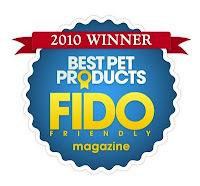 We've been selected by Fido Friendly magazine as one of the Top 100 Pet Products! Yahoo! Perhaps you can do without our magazine, but for kibbles’ sake, think of your dog! At last, a voice for the traveling canines of the world. Until now, few have taken pooches on-the-go seriously. After all, who appreciates warm shelter and a comfy bed more than a dog? 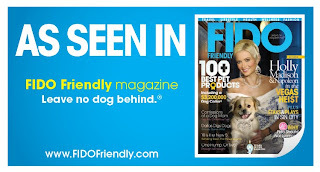 Your call for help has been answered with FIDO Friendly, The Travel & Lifestyle Magazine For You & Your Dog, a complete guide to Fido-friendly accommodations across the United States and Canada. We know it’s your life’s goal to put a smile on your pet’s face and in these pages you’ll find everything you need to do just that. If Fido’s not happy, ain’t nobody happy. 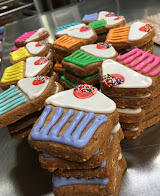 So dig in and find out for yourself, what an incredible and fun resource FIDO Friendly, The Travel & Lifestyle Magazine For You & Your Dog can be.